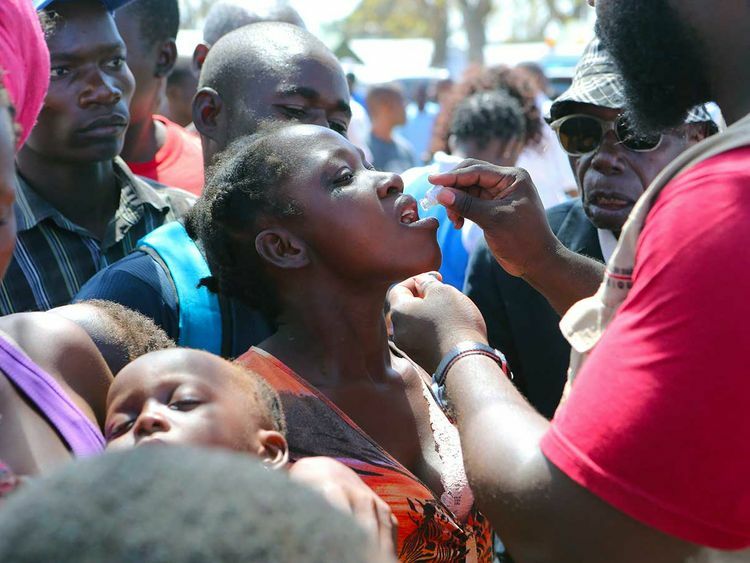 MAPUTO: A vaccination campaign was launched in Mozambique’s central city of Beira on Wednesday after a cyclone slammed into the region and unleashed an outbreak of cholera, authorities said. International relief agencies and the health ministry are hoping to immunise nearly 900,000 people against the waterborne intestinal disease, which has already killed two people and infected more than 1,400. The target represents around 80 per cent of the people affected by the cyclone, said Marie Benigna, a deputy director in the health ministry. “With this number of people vaccinated, it will greatly reduce the spread of the disease,” she said at the launch of the drive. Cholera is transmitted through contaminated drinking water or food and causes acute diarrhoea. It is especially dangerous for infants. In Mozambique, 598 people have been killed, and another 268 have died in Zimbabwe, according to the toll as of Tuesday. Hundreds of thousands of survivors have been placed in temporary and crowded shelters, many of them lacking clean water and adequate sanitation. Destruction of water systems and sanitation infrastructure has created “perfect conditions for cholera to spread,” said Seth Berkley, CEO of the vaccine alliance Gavi, which provided the doses. “The oral cholera vaccine is a vital emergency measure that will help save lives and stop the spread of this horrible disease,” said World Health Organisation (WHO) chief Tedros Ghebreyesus. The vaccinations will be administered at health centres, shelters for the displaced and at schools and markets.